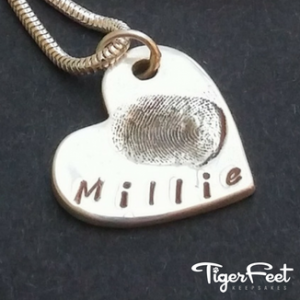 Fingerprints are highly detailed, unique and life-long impressions. 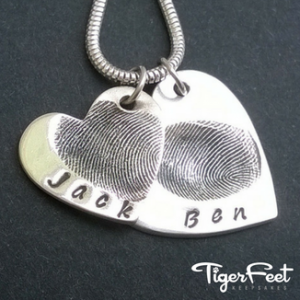 Although newborn babies can take a few months to develop a well defined fingerprint, the design of our prints remains constant throughout our life and can be taken at any age with easy to use moulding putty. 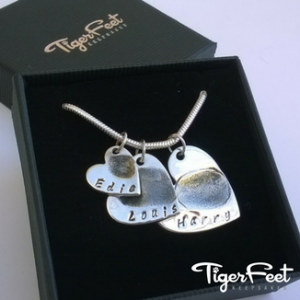 Beautifully captured in fine silver at their real size, in various shapes and sizes, these create a truly personalised and entirely unique keepsake.